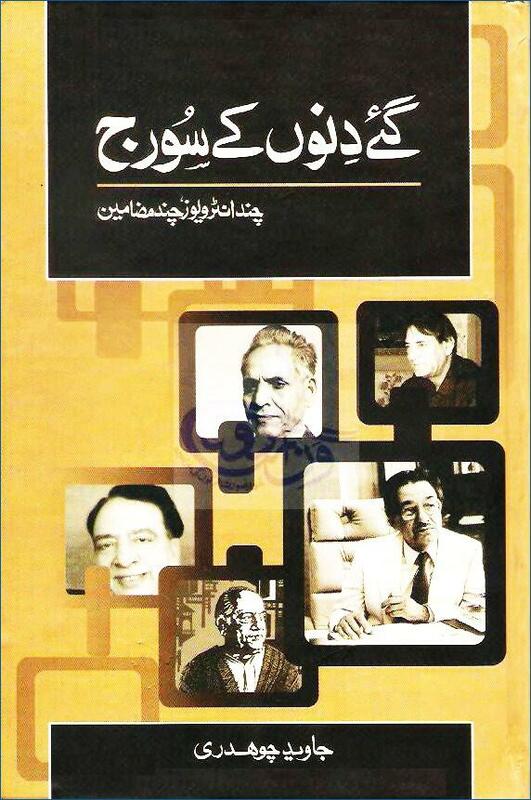 “Gaye Dino Ke Suraj” comprises interviews, and essays of the early days of the journalism career of Javed Chaudhry. Featuring personalities like Mumtaz Mufti, Prof. Ahmed Rafique Akhtar, Altaf Gohar, Ataul Haq Qasmi, Mrs. Shaqiqa Ziaul Haq, Shamim Quireshi, Dr. Iqbal Wahla, Faiz Ahmed Faiz & Liaquat Ali Khan, While several Interesting research reports on various topics like Budget, Drugs, Jinns, and Kitchens of the rulers. Surely this book is a must read. Regarded as Best Urdu Columnist, Javed Chaudhary is undoubtedly one of the most prominent journalists of Pakistan. Many domestic and international surveys have established that his column titled Zero Point is the most read column in Pakistan. A proof of his popularity is that Zero Point-I, the first collection-book of his columns has been reprinted in 72 editions since 2000 while the second book, “Zero Point-II, published in 2005, has already gone through 37 editions. Both these books and also Zero Point-III, IV V and VI are the current best sellers in Pakistan, which is another acid test of Mr. Chaudhry’s popularity among the masses. All Pakistan Newspapers Society (APNS) declared him the Best Columnist in 1997 and 1998. The Government of Pakistan awarded him with an ?Excellency Award? in 1998 for his outstanding performance in national journalism. He has, over the years, emerged as one of the most popular opinion makers in Pakistan and has been contributing his intellects to the vernacular press. With his distinctive writing style, he has raised many issues of social, political and economic importance and succeeded in leaving a mark on the thinking of his readers. A career journalist, Javed Chaudhry has held many positions in the national press. In 1997, he joined Daily Jang, as a columnist. In 2006, Javed Chaudhry joined Daily Express and is one of the leading members of the daily newspaper’s team of Columnists. He is also the anchor of a popular TV current affairs program “Kal Tak”. According to latest opinion poll surveys, the TV program Kal Tak ranks among the top three current affairs programs in Pakistan. He has also attended prestigious institutions like Columbia University and John Hopkins University for courses on Media Management, Creative Writing, and Opinion Building. Mr. Chaudhary is also a personal trainer and delivers lectures on talent discovery and modern media related fields. He is on the panel of many national universities to hone the leadership skills among the youth. Many apex national institutions, including National Police Academy and Civil Services Academy, regularly invite him for his lectures & analysis on matters of national and international importance. The other 6 books are the collection of his columns published in Daily Jang and Daily Express, while “Kal Tak” is a book which is a collection of contents taken from TV Show “Kal Tak – Javed Chaudhry Ke Sath”.